"Number 13" is the perfect example of simplicity. A good idea. A micro production that can actually work... as a micro production, and a competent production crew. Nothing excessive. Nothing over the top, and keeping the focus on the story being told. Not constantly shifting away from it in favor of a cool add-in or idea. If other micro filmmakers took some notes, what a happier micro budget world this would be. This story starts off within a store. Grocery or convenience, doesn't really matter... just a store. From here, we meet our leading lady. A self checkout machine with some real personality. Of course, we have our supporting cast as well. An overworked looking cashier and our main shopper, who leaves the store with more than he paid for. Things seem pretty run of the mill. A stream of shoppers - and an irritated clerk completely hating on the self checkout machines. The machines have been stealing his thunder so to speak, and this is completely uncalled for. Not what he signed up for at all. The hook for this seemingly normal story? One particular self checkout machine holds a secret. A secret that at first seems extremely fantastic and unbelievable. Yet at the same time it is not. In today's world, this unusual self checkout machine may seem more "in" place than some of the shoppers themselves. What is this big secret? In the words of Victor Frankenstein himself: It's Alive! Well... sort of. Writer, director Jonell Rowe helms this quick science fiction gem that showcases the science of artificial intelligence. Given or formed in some unexplained way that is not really discussed... nor does it matter. What matters is the concept itself... and the open ending that's sure to make a genre lover smile - when thinking of the future possibilities. "Number 13" is a quick solid piece of entertainment. Better yet? It's free to watch. So what are some of the highlights of this production? For starters, as I mentioned above, Rowe never overshot what he was aiming for. There are no incredible special effects. None of that overly complicated camera work. Just a straight up story that used what it had. What an amazing way to do things! So often I come across micro productions that simply go to far. The results are generally a very cheesy production, all around. Or, very messy looking ones. 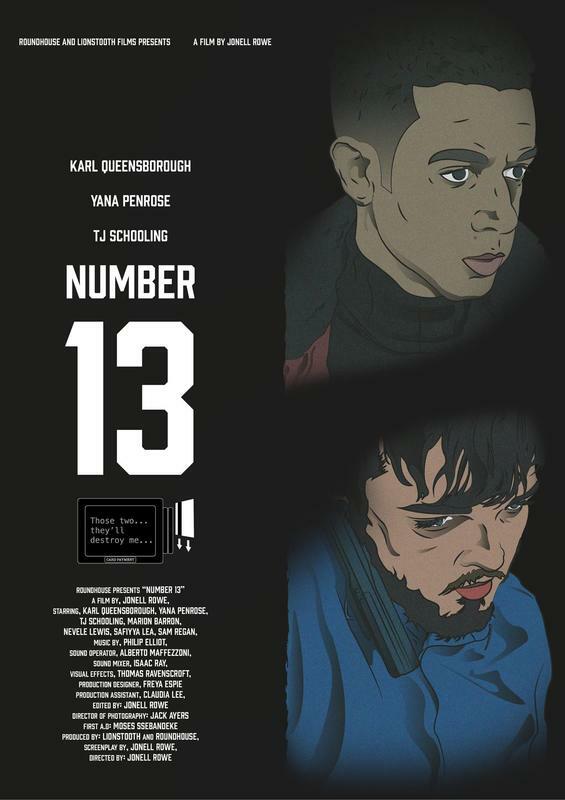 Regarding "Number 13", the story is set in motion and a problem is presented. In this case the irritated clerk. Then, in grand old science fiction style, a cool ending is used to wrap things up. "Number 13" varies slightly in that the "wrap up" could easily be seen as the beginning. Yet this actually works for this film. The ending that could be considered the beginning is strangely satisfying - and does indeed work well. I also really loved the voice of the machine. Familiar to most all of us and yet slightly different. It really worked. The cast, including "the voice" all did really well maintaining a real world vibe, that had me thinking how similar these people were to the people I meet in stores all the time. Everything just fit into place with this one. In a strange turn of events, I actually think "Number 13" would have benefited if it were a little longer. I don't write that much anymore. When it's all said and done, this was a cute, entertaining short film. I never thought I would use the word "cute" when writing about a micro film before... but it just seems to fit. Easily an enjoyable quick escape, I have no problem recommending this title. Good job guys. Good job all around.